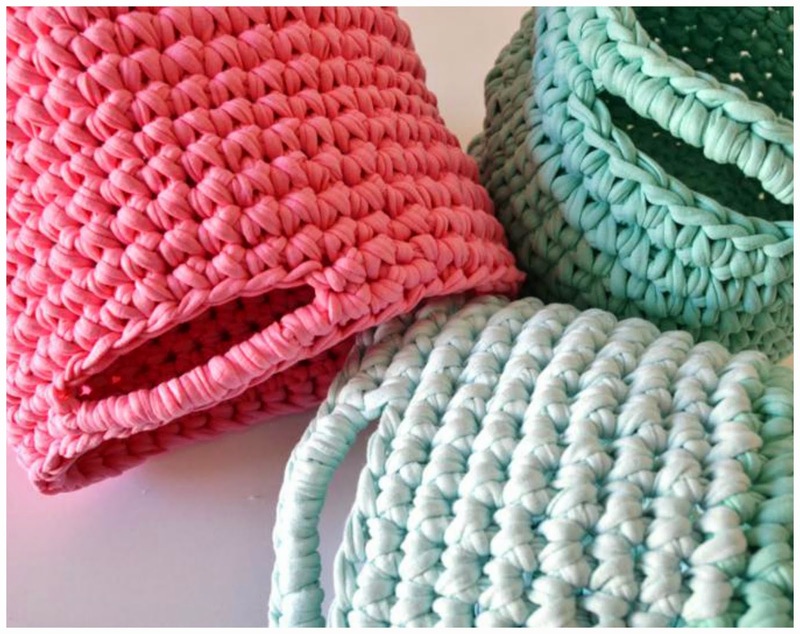 Today I show you more baskets with t-shirt yarn. 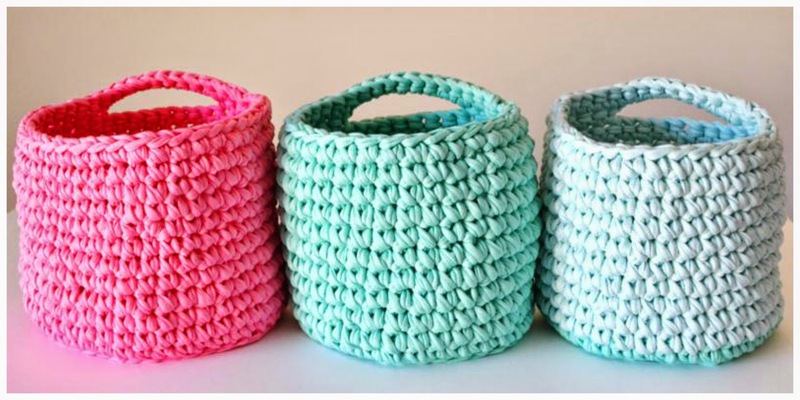 For to make these baskets I have worked with 9mm crochet hook. My little is delighted with these baskets! 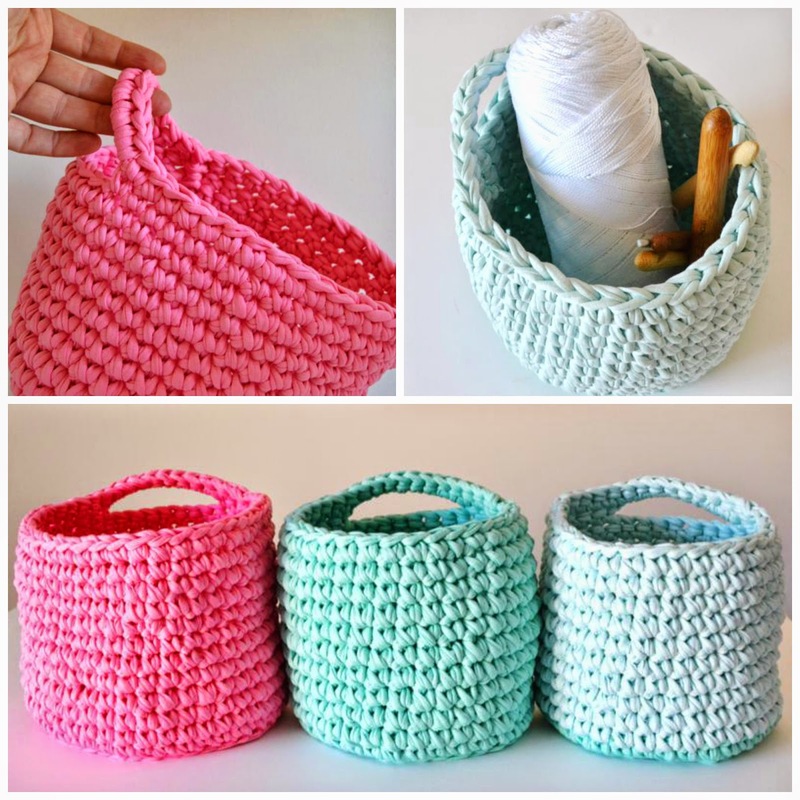 if you want to use the baskets for to hang. If you not know XL crochet tecnique I hope you go to try! I think it is a cheer to work with it! Many thanks for your sweet comments! always makes me so happy read your words! and music go with you and your stuff! Te han quedado muy bien. Me gustan mucho los colores, las tres juntas quedan genial! They are all very very nice !! love your combination of colors too ... Have a creative day ! 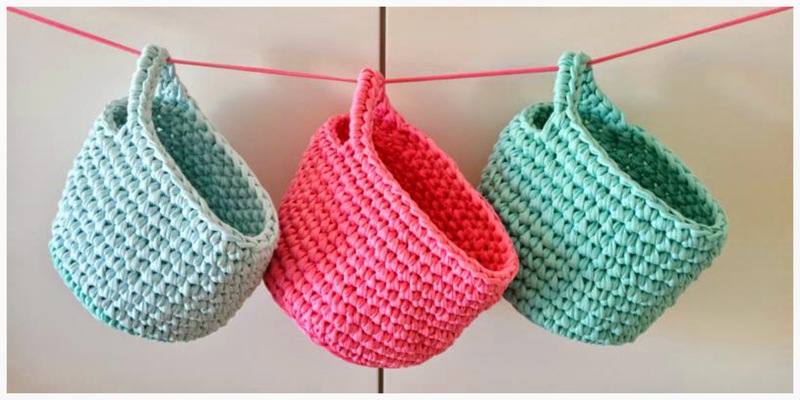 I love your baskets, they are really beautiful, and look so pretty together in your gorgeous photos too! Thank you for letting me know that your birdies have landed there! So glad that you like them ! Wishing you a happy week, enjoy your crochet and your music! I would love to have the pattern! I have made a bunch of T shirt yarn and looking for something to make.